Adorno, T., Frenkel-Brunswik, E., Levinson, D. and Sanford, R. (1950). The Authoritarian Personality, New York: Harper and Row Publishers. Ahmed, S. and d’Astous, A. (2004). Perceptions of Countries as Producers of Consumer Goods. A T-shirt Study in China. Journal of Fashion Marketing Management . 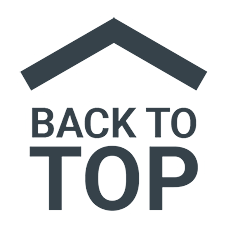 8 (2), pp. 187-200. Al Ganideh S., Jackson H., Marr N. (2007). An Investigation into Ethnocentrism among Young Jordanians. 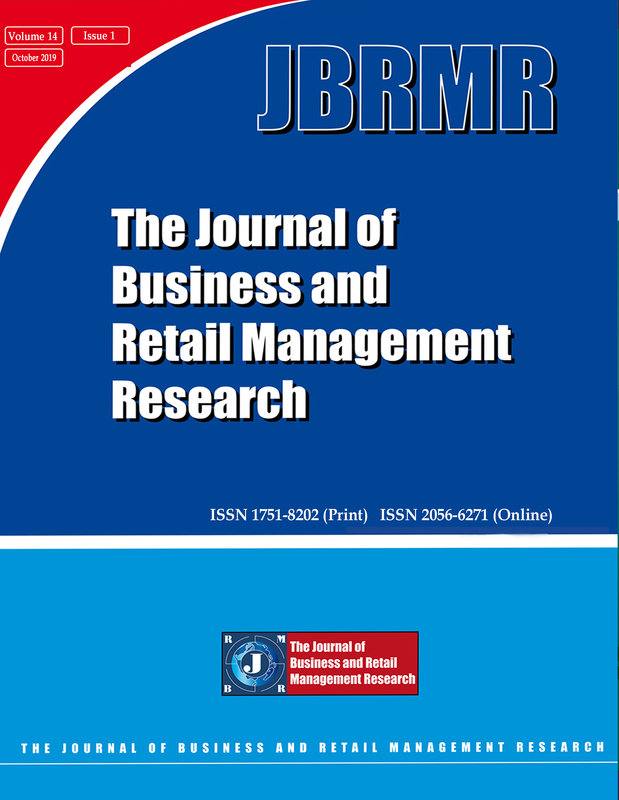 World Journal of Retail Business Management-WJRBM. 2(1), pp 40-51. Apil, A.R., Kaynak, E. and Yaicin, S. (2007) Foreign Product Purchase Behavior in Transition Economics: An Empirical Analysis of Product Information Sources Among Georgian Consumers. Journal of Promotion Management. 13(3-4),pp.321-337. Balabanis, G., Diamantopoulos, A., Mueller and Melewar, T. (2001). The Impact of Nationalism, Patriotism and Internationalism on Consumer Ethnocentric Tendencies. Journal of International Business Studies. 32 (1), pp.157-175. Balabanis, G., Mueller, R. and Melewar, T. (2002). The Human Values’ Lenses of Country of Origin Images. International Marketing Review. 19 (6), pp.582-610. Bawa, A. (2004). Consumer Ethnocentrism: CETSCALE Validation and Measurement of Extent. VIKALPA. 29 (3), July-September 2004, pp. 43-57. Brodowsky, G., Tan, J. and Meilich, O. (2004). Managing Country-of-Origin: Competitive Advantages and Opportunities. International Business Review. 13, pp.729-748. Bruning, E. R. (1997). Country of Origin, National Loyalty and Product Choice. The Case of International Air Travel. International Marketing Review. 14 (1) pp.59-74. Caruana, A. (1996). The Effects of Dogmatism and Social Class Variables on Consumer Ethnocentrism in Malta. Marketing Inelegance and Planning. 14 (4), p.39. Chang, Edward C. and Ritter, Edward H. (1976). Ethnocentrism in Black College Students The Journal of Social Psychology. 100, pp.89-98. Cleveland M., Laroche M., and Papadopoulos N. (2009). Cosmopolitanism, Consumer Ethnocentrism and Materialism: An Eight-Country Study of Antecedents and Outcomes. Journal of International Marketing. 17(1).pp.116-146. Durvasula, S., Andrews, J., and Netemeyer, R. (1997). A Cross-cultural Comparison of Consumer Ethnocentrism in the United States and Russia. Journal of International Consumer Marketing. 9 (4), pp.73-93. Evanschitzky, H., Wangenheim, F., Woisetschlager, D., and Blut, M.(2008). Consumer Ethnocentrism in the German Market. International Marketing Review. 25(1), pp.7-32. Good, L. and Huddleston, P. (1995). Ethnocentrism of Polish and Russian Consumers: are Feelings and Intentions Related? International Marketing Review. 12 (5), pp.35-48. Guneren, E. and Ozturn, A. (2008). Influence of ethnocentric Tendency of Consumers on their Purchase Intentions in North Cyprus. Journal of Euromarketing. 17(3-4). pp, 219-231. Hair, J., Anderson, R., Tatham, R. and Black, W. (1998). Multivariate Data Analysis, 5th Edition. Upper Saddle River, NJ: Prentice-Hall. Herche, J. (1992). A Note on the Predictive Validity of the CETSCALE. Journal of Academy of Marketing Science. 20 (3), pp. 261-264. Herche, J. (1994). Ethnocentric Tendencies, Marketing Strategy and Import Purchase Behaviour. International Marketing Review. 11 (3), pp. 4-16. Hsu, J.L. and Nien H-P. (2008). Who Are Ethnocentric? Examining Consumer Ethnocentrism in Chinese Societies. Journal of Consumer Behaviour. 7(2008), pp. 436-447. Javalgi, R., Khare, V., Gross, A. and Scherer R. (2005). An Application of the Consumer Ethnocentrism Model to French Consumers. International Business Review. 14, pp.325-344. Kaynak, E. and Kara, A. (2002). Consumer Perceptions of Foreign Products: An Analysis of Product-Country Images and Ethnocentrism. European Journal of Marketing. 36 (7/8), pp. 928-949. Kim, S. and Pysarchik, D. (2000). Predicting Purchase Intentions for Uni-national and Bi-national Products. International Journal of Retail and Distribution Management. 28 (6), pp.280-291. Klein J.G., Ettenson R. and Krishnan B. (2006). Extending the Construct of Consumer Ethnocentrism: When Foreign Products are Preferred. International Marketing Review.23 (3), pp.304-321. Klein, J. G., Ettenson R. and Morris, M. (1998). The Animosity Model of Foreign Product Purchase: an Empirical Test in the People’s Republic of China. Journal of Marketing. 62 (January 1998), pp. 89-100. Lantz, G. and Loeb, S. (1996). Country of Origin and Ethnocentrism: An Analysis of Canadian and American Preferences Using Social Identity Theory. Advances in Consumer Research. 23, pp.374-378. Lee, W., Hong, J. and Lee, S. (2003). Communicating with American Consumers in The Post 9/11 Climate: An Empirical Investigation of Consumer Ethnocentrism in The United States. International Journal of Advertising. 22, pp. 487-510. Lindquist, J. D., Vida, I., Plank, R.E. and Fairhurst A. (2001). The Modified CETSCALE : Validity Tests in the Czech Republic, Hungary and Poland. International Business Review. 10 (5), pp.505-516. Murdock, G.P. (1931) 'Ethnocentrism in Seligman' E.R.A.(Ed. ), Encyclopedia of the Social Sciences, Macmillan, New York, pp. 613-614. Netemeyer, R., Durvasula, S. and Lichtenstein, D. (1991). A Cross- national Assessment of the Reliability and Validity of the CETSCALE. Journal of Marketing Research. XXVII, pp.320-327. Nielsen, J. and Spence, M. (1997). A Test of the Stability of the CETSACLE, a Measure of Consumers’ Ethnocentric Tendencies. Journal of Marketing Theory and Practise. 4 (5), pp.68-76. Nijssen E. J. and Herk H. V. (2009) Conjoining international marketing and relationship marketing: exploring consumers' cross-border service relationships. Journal of International Marketing. 17(1), pp.91-115. Orth, U. and Firbasova, Z. (2003). The Role of Consumer Ethnocentrism in Food Product Evaluation. Agribusiness. 19 (2), pp. 137-153. Rawwas, M.Y. and Rajendar, K.N. (1996). The Influence of Worldmindedness and Nationalism on Consumer Evaluation of Domestic and Foreign Products. International Marketing Review. 13 (2), pp. 20-38. Development on the Formation of Brand and Ad Attitudes in Transitional Economics. European Journal of Marketing. 39(7/8), pp.737-754. Saffu, K. and Walker, J. (2005) An Assessment of the Consumer Ethnocentric Scale (CETSCALE) in an Advanced and Transitional Country: The Case of Canada and Russian. International Journal of Management. 22 (4), pp.556-571. Shankarmahesh M.N. (2006) Consumer Ethnocentrism: An Integrative Review of its Antecedents and Consequences International Marketing Review.23 (2), pp.146-172. Sharma, S.H., Shimp, T.A. and Shin, J. (1995). Consumer Ethnocentrism: A Test of Antecedents and Moderators. Journal of Academy of Marketing Science. 23 (1), pp 26-37. Shimp, T. A. (1984). Consumer Ethnocentrism: The Concept and a Preliminary Empirical Test. Advances in Consumer Research. 11, pp.285-290. Shimp, T. and Sharma, S. (1987). Consumer Ethnocentrism: Construction and Validation of the CETSCALE. Journal of Marketing Research. 24 (XXIV) (3) August, pp.280-289. Sumner, W. G. (1906). A Study of the Sociological Importance of Usages, Manners, Customs, Mores and Morals. Ginn and Company. Supphellen, M. and Gronhaug, K. (2003). Building Foreign Brand Personalities in Russia: The Moderating Effect of Consumer Ethnocentrism. International Journal of Advertising. 22 (2), pp. 203-226. Thelen S. (2002). Antecedents and Consequences of Consumer Ethnocentrism across Russia’s Three Sub-Cultures. Unpublished PhD Thesis. Old Dominion University. Vida, I. and Fairhurst, A. (1999). Factors Underlying the Phenomenon of Consumer Ethnocentricity: Evidence from Four Central European Countries. The International Review of Retail, Distribution and Consumer Research. 9 (4), pp. 321-337. Wang, Y.J., Doss, S.K., Guo, C., and Li, W. (2010) an investigation of the Chinese consumers’ outshooting motives from a culture perspective. International Journal of Retail& Distribution Management. 38 (6), pp. 423-442. Watson, J. and Wright, K. (2000). Consumer Ethnocentrism and Attitudes toward Domestic and Foreign Products. European Journal of Marketing. 34 (9/10) p.1149. Witkowski, T. and Beach, L. (1998). Consumer Ethnocentrism in Two Emerging Markets: Determinants and Predictive Validity. Advances in Consumer Research. 25, pp.258-263.